I don’t always get invited to big hotels like Le Royal Monceau... sometimes I also have the chance to see charming little hotels that are definitely worth the visit. 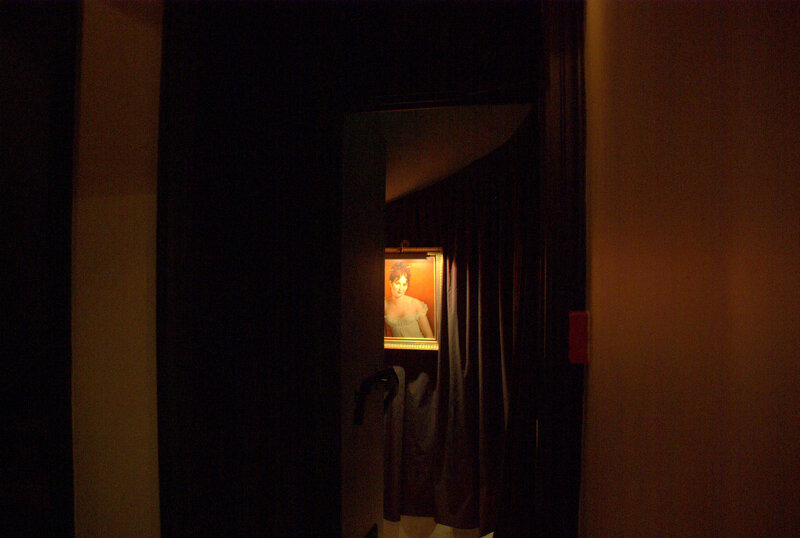 Hence the Hotel Athénée, a 20 cosy room hotel in the Opera area, facing the backstage entrance of the Olympia Hall. The whole place was entirely redecorated by Jacques Garcia (who’s apparently a famous designer) and each room has an Opera theme (see more in this little Animoto). Really beautiful. My advice, if you want to have the best value for money... Book one of the rooms on the top floor: they are a little smaller but as nice as the other ones and less expensive. Hey Eric. I really enjoy your blog. It has been a decade since my last visit to Paris and I need to visit soon. Having blogs such as yours helps in the meantime. Nice, and a little mysterious! I thought the same as Michael! I"m usually a Left Bank girl—but might be talked into staying at this VERY cool place (if I can get one of those top-floor rooms). Jacque Garcia has made his mark in NY and Miami, too! I like his bold use of colors. I thought how it would be interesting to just do a tour of Parisian(and London) hotel designs. I think I will start with this one! Yes, I think I could be quite comfortable there. Thanks for the tip Eric. I'll remember this when I take my trip to Paris! This hotel is wonderful, I would love to stay there. The theme and the colours are so great. I agree with the others...how mysterious! Dimly lit corridors, spotlighted art, heavy draperies, how interesting! This is a lovely photo, Eric, and a very difficult exposure. Its very evocative. I'll be booking a room along with the others! Eric, is that the lovely Madame Recamier portrait? I'd recognise her anywhere (if I'm right ;-/ ). 30 years of French Napoleonic military and social research and I can still recognise an attract visage huh?